A recent survey outlining top concerns faced by men as they age, suggests that sexual health and physical weakness were ranked as the top concerns.At innovative Men's Health, we are dedicated to helping men reverse issues related to aging. We specialize in sexual health, medical weight loss, low testosterone, and repairing the physical damage to your outward appearance as a result of excessive sun, stress, and/or skin abnormalities. It's ok to love your salt N pepper hair style, however, you deserve to know that there are options to counter the physical effects of aging. 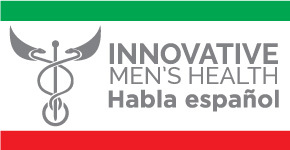 At Innovative Men's Health, we want you to look your best, feel your best, and be your best. 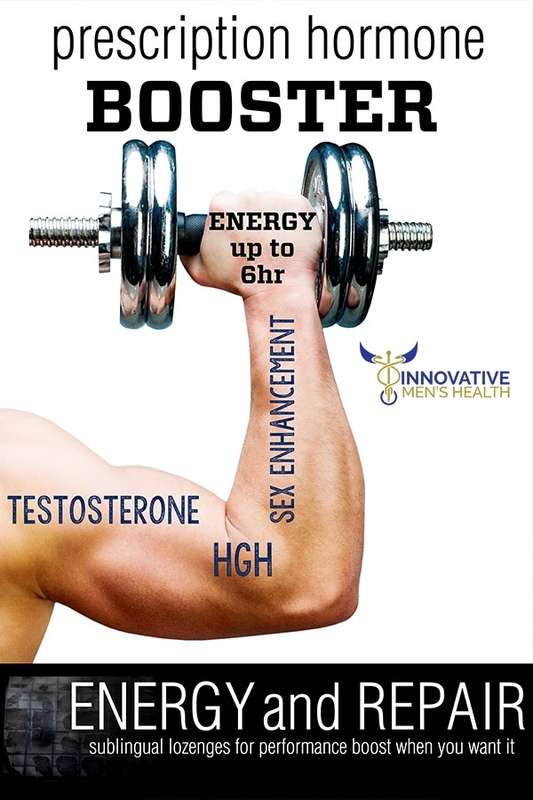 The aging process for men may not bring on the sudden changes women experience through menopause, however, men also go through something called "Andropause" which can impact your sexual health, physical strength, and energy levels. It is important to know that many of the symptoms of andropause can be reversed or even prevented. 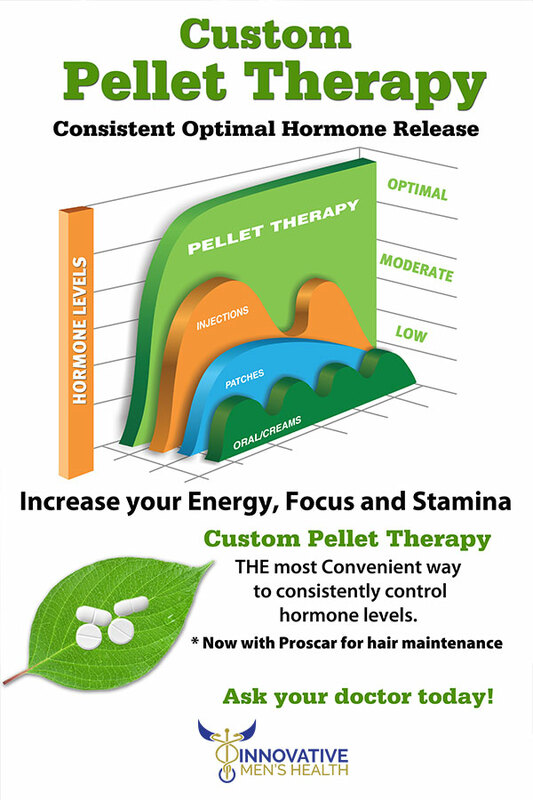 Andropause is a gradual change that results from the slow decline of testosterone levels in men as they age. Testosterone levels fall about 1 percent, on average, every year after the age 30. Lowered testosterone could bring on things like erectile dysfunction, reduced libido and even changes in sleep patterns. What are my options when it comes to anti-aging therapies? Please choose the one that best fits your needs so that we may direct your email to the right person. Sublingual Lozenges for performance boost when you want it.